Do you remember the days before fat free everything? Do you remember the ice cream toping that actually tasted like something? Today it is just one disappointment after another, of course if you are young and growing up in the past 20+ years, you know nothing else and it probably tastes good to you. However for those of us 50 and older, the world and foods were a different thing back when we were young, and we still remember those flavors and foods in general, and how much better they were back then. 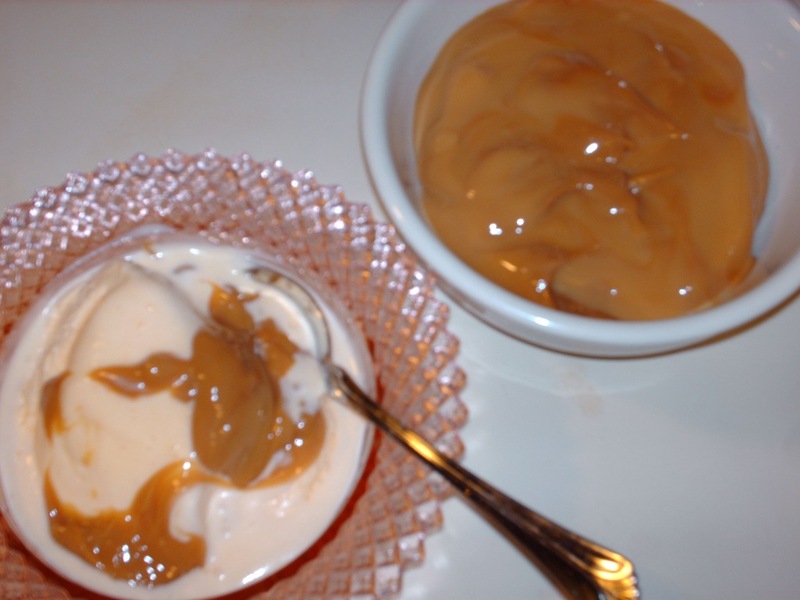 Well this “Easy Dulce de Leche” or Caramel is so easy to make, and tastes like yester days desserts. 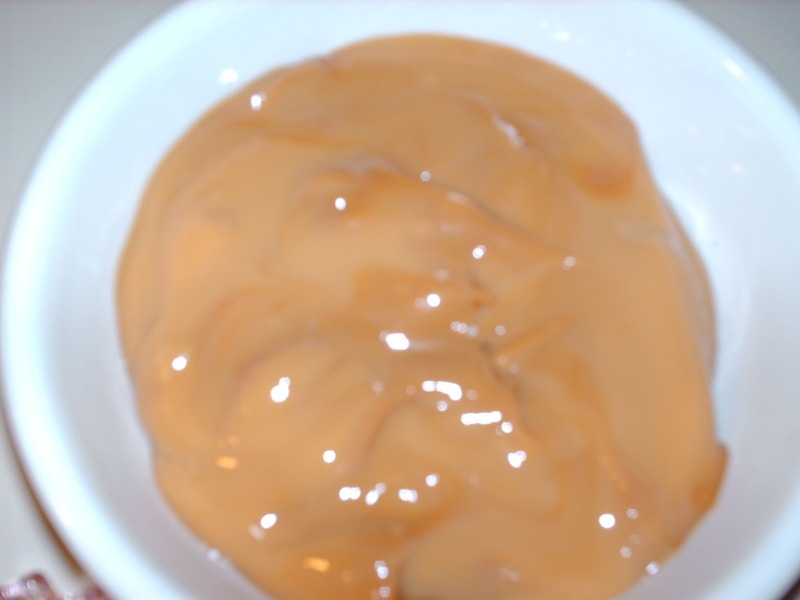 Actually this is caramel like, the literal translation means Candy of Milk or Milk Candy, however it is just plain hard to beat. Now for me I used a pressure cooker of almost everything, however you can do this on the stove in a pot of water also; it just has to cook longer. You will need a pressure cooker or a fairly large pot for boiling water. However many cans of Sweetened Condensed Milk (NOT EVAPORATED) you wish to make up. I suggest trying 1-2 cans first and see how you like it. In a large pot , set the cans in the pot, and cover at least an inch over the cans, bring to a rolling boil, and cook, always making certain the water covers the cans at all times. until done. Cook this way for about 1 1/2 to 2 hours, when done cut off unit and leave to cool in the water do not handle or remove the cans until cool. DO NOT OPEN CANS UNTIL COOL, as pressure will have built up in the cans, I cannot stress this enough, just let the cans be until cool. Place rack in bottom of the pressure cooker. Place cans in pressure cooker, water does not have to cover cans, I have water 1/2 way up the cans. Place lid on the cooker, and the weight on top 15 lbs weight. Bring cooker to pressure, let gently rock maintaining pressure for 20 minutes, cut the unit off and allow the pressure to drop naturally, leave the cans alone until they have come to room temperature. Then you may open a can and have your caramel. The cans are shelf stable, just place in the cabinet until you want to have some caramel. 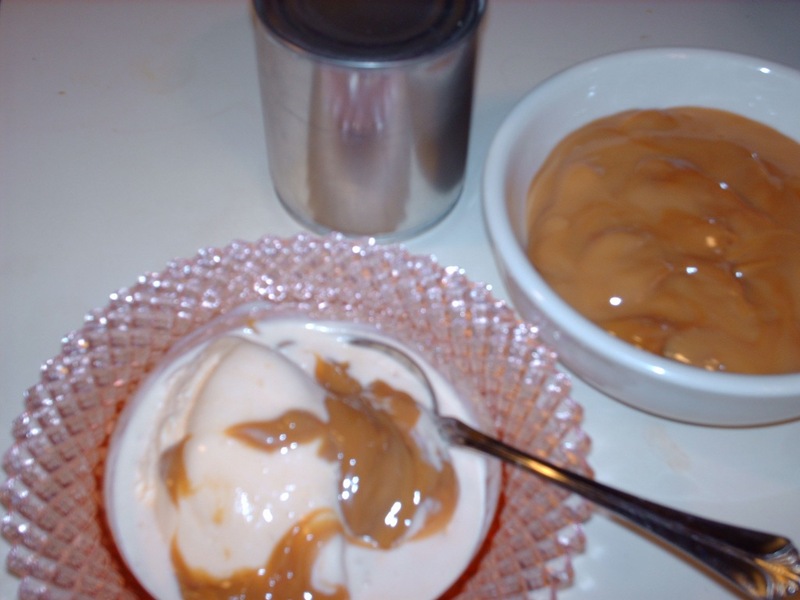 Have you ever been home and wanted to make something that used a can of sweetened condensed milk, just to find out that you did not have any on the shelf? What a hassle that can be, stop run to the store, that really can put you out of the mood real quick. Well if you are lucky and keep either non fat dry milk or if you are like me I try to keep non fat but also Nido Full Fat Dry Milk on the shelf. 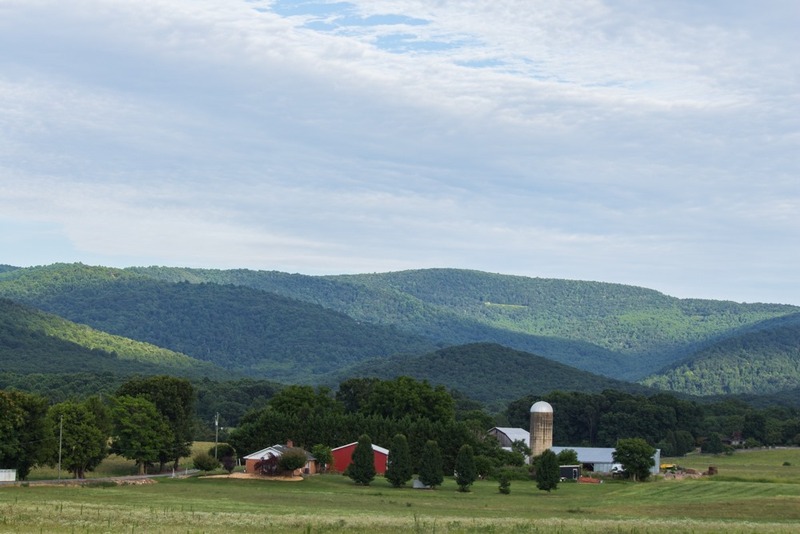 Nido is made by Nestle, and can found in most Hispanic and Asian Markets, as well as at Wal-mart in the section with Hispanic foods. 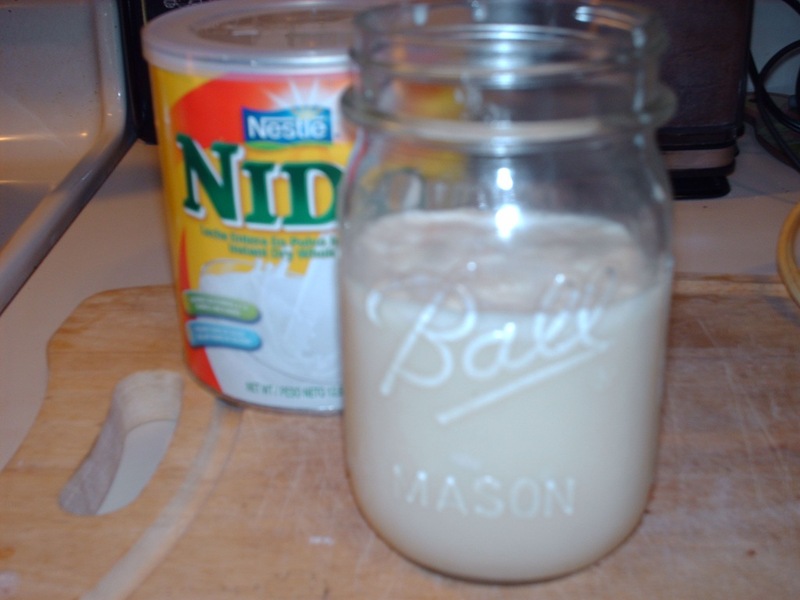 Nido is a dried whole milk powder, and really good, if you can’t stand non fat dry milk. Stir the dry milk into the warm water to dissolve, stir in the sugar and vanilla, Mix with a hand blender, or a regular blender, until well mixed. Now you have your sweetened condensed milk to use. NOTE: The butter is optional when using Nido as the fat is in the milk, with non fat dry milk you are just trying to add some fat for richness. I don’t know about you but I love ginger! Ground ginger makes chicken broth richer and yet does not in the end impart a ginger flavor. Ginger is good in so many things from main dishes to sweet treats and desserts, it is a very versatile spice. Well I have seen ginger syrup different time over the years and never gave it much thought; until one day I thought hmmm, ginger ale. I love ginger ale and just think ginger is good for an upset stomach, so if you have “REAL” Ginger Ale then this would be good for that, while we wish that what you get in the stores are mainly a ginger flavor, this would be carbonated water, and Real Ginger Syrup! Now for the recipe for the Real thing. I can now tell you after making both of these that nothing can be easier than making Ginger Syrup or Crystalized Ginger, Yet when you think about it, to make both of these is not that expensive. From 3/4 pound fresh ginger I got 3 cups syrup and a pint of crystalized ginger. Roughly doing the math the ginger cost $2.32, sugar ,99 cents. about $ 3.31. There is no reason not to try this out and have it on hand. This way it is easier to figure out like I did having 3/4 pound ginger, of course if you want it stronger you can use more ginger per recipe also. This is just one of those recipes you personally have to play with to find what you like best. Have you ever tried Reed’s Natural Ginger Beer, it is sweetened with honey. 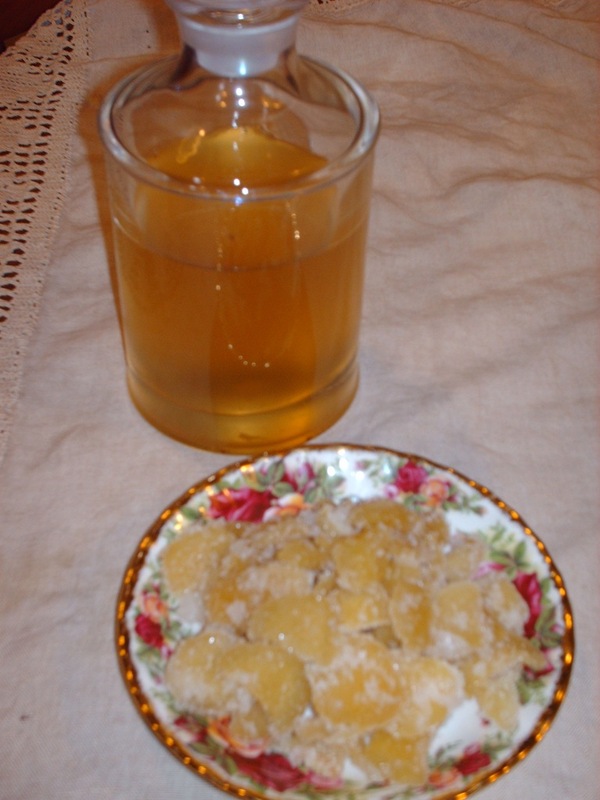 I am thinking now next time using honey and water to cook my ginger in, this is very similar to my syrup recipe for Baklava (which is water honey and lemon). Heat water and add sugar, stir to dissolve, add ginger, and simmer over medium heat until tender for about 1 hour, cubed ginger may take longer about 1 1/2 to 2 hours, you want a slow simmer so that your syrup does not reduce to much, but if it does you can stir in more water to thin it down. Thin Slice of Lime or Lemon and stir. 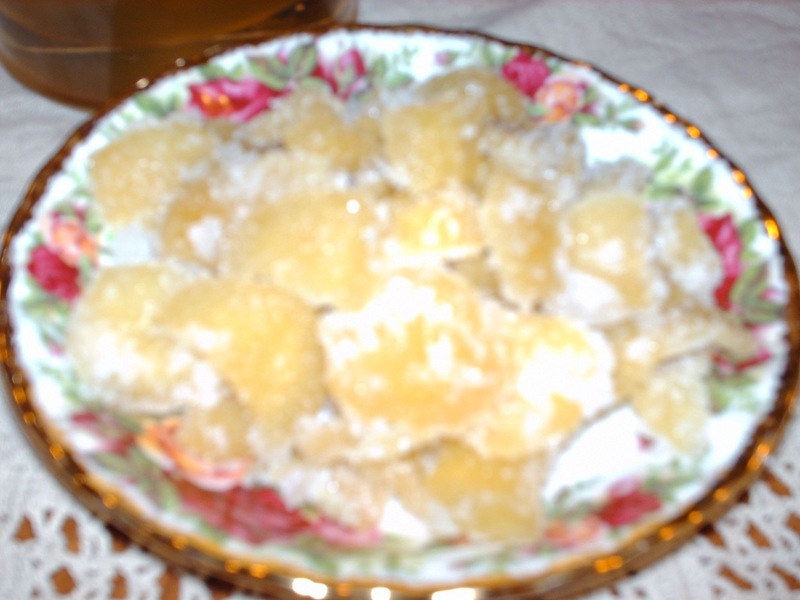 Have a sheet pan lined with foil, wax paper, (I used parchment paper) put about a 1/4 cup of sugar spread around on the pan/sheet, with a slotted spoon remove the ginger from the syrup, allowing excess syrup to drain away back into the pan, spread out over sugared surface and toss to coat ginger with sugar. Even out on baking sheet and allow to set for 12-24 hours (I found that 24 hours was best. 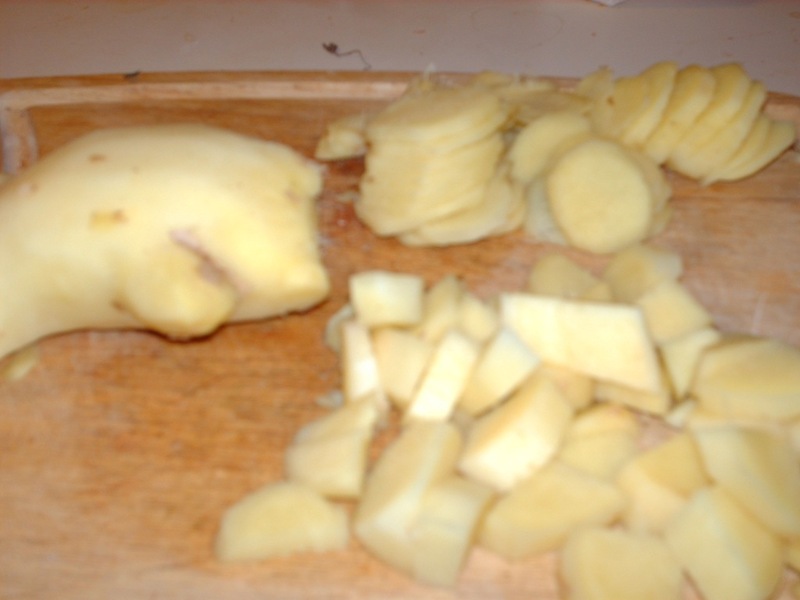 I also toss occasionally to make sure it is drying evenly, then package up when ginger feels crisp. 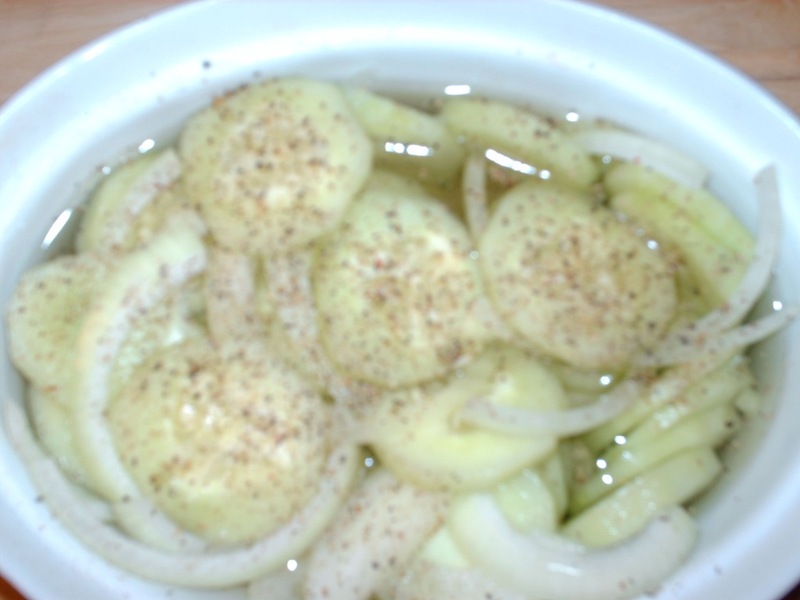 You know that the garden in coming in when the cucumbers start and a staple in our refrigerator growing up was the ever going bowl of cucumbers and onions in vinegar water. A refreshing snack to grab or placed on the table with meals! There is nothing difficult about this recipe if you can slice a cucumber and an onion you have it. I have tasted these done several different ways over the years, our preferred method is just as stated above. however if you prefer something sweet you can add sugar, to the mixture, feel free to use white or cider vinegar, we most always use cider vinegar in most all of our recipes. Ratio for vinegar to water depends on personal preference, however 1 part vinegar to 2-3 parts water. Note: I have also had this with fresh chopped dill mixed in.